The foodservice industry’s struggle to cultivate tomorrow’s managers hasn’t exactly been a tale of triumph and delight. But one component is emerging as a model system for developing the next generation of leaders, with benefits that go beyond enlarging the pool of candidates. And the only limitation may be a lack of awareness of how to participate. Since the National Restaurant Association Educational Foundation (NRAEF) launched the industry’s new apprenticeship curriculum in July 2017, about 1,000 line-level foodservice employees have entered the program to become managers. Through a combination of classroom-type instruction and practical experience, the initiative cultivates the skills that research has identified as being crucial to managerial success. The apprentices earn a paycheck while they learn. The program even provides participating employers with an outlay of $1,000 per apprenticeship to cover the costs, drawing on a grant from the U.S. Department of Labor (DOL). Everything is geared to the real and practical, says Rob Gifford, EVP of the NRAEF; the ideal skill set is based on what the association learned from such operators as Chili’s Grill & Bar, whose parent company, Brinker International, has since enrolled 250 employees as apprentices. Apprentices who complete the program are given a certificate verifying they’ve learned and practiced the skills needed to run restaurants successfully. Gifford stresses that the program is still in its early stages. For instance, the NRAEF is only starting to work with noncommercial operators interested in participating. “We’re just starting to hit our stride,” he says. Yet the industry is embracing the program more eagerly than had been anticipated when the NRAEF conceptualized the program under seed funding from DOL. “We’re 10% to 15% ahead in terms of our numbers,” Gifford told Restaurant Business. “It’s important to point out that 14 groups were initially funded by the Department of Labor. Only eight are still funded.” The NRAEF was one of those whose financing was renewed. In addition to steering 1,000 industry members toward management careers, the program has delivered some unexpected results, according to Gifford. For one thing, the retention rate for enrollees is 94%. For another, the initiative has helped in diversifying the industry’s management ranks. About 57% of the enrollees are women, and more than 40% are non-Caucasian. “Two profiles of participants have emerged,” he explains. One category consists of large restaurant and hotel brands that already have employee development programs in place and might need some customization to match apprentices’ skills to the operation’s peculiar needs. The first restaurant chain to participate in the program was Taco Mac, a 27-unit regional casual-dining chain. In addition, “Apprenticeship is perceived as somewhat of a foreign thing, and some people don’t understand what it is,” he says. Indeed, he says, the biggest impediment to growing the program has been a lack of awareness. But as word spreads and more restaurant companies participate, any preconceptions are likely to wane, Gifford contends. 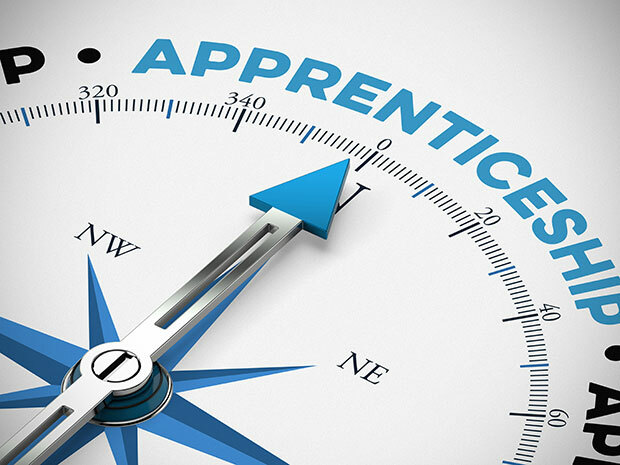 He notes that an operator’s offer of management apprenticeships will likely become a recruitment tool as well as a means of bolstering retention. Offering a career route has been particularly attractive to women, who make up 57% of apprentices to date. About 40% are non-Caucasian, according to the association. The NRAEF is also exploring ways of dovetailing the apprenticeships to other association programs aimed at drawing and retaining industry talent. For instance, participants in ProStart, the foundation’s program for high school students who’d rather pursue a career in foodservice than a traditional pre-college education, can now go directly into the apprenticeship curriculum with a six-month head start on fellow enrollees. So what might the apprenticeship program look like a year from now? “I think we’ll be discussing how the best and most forward-looking brands are increasingly embracing apprenticeships as a key recruitment and retention and tool,” says Gifford.